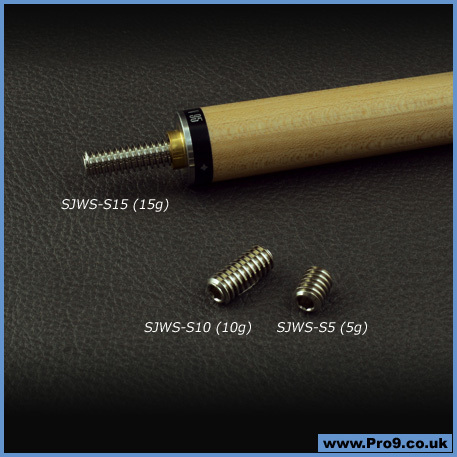 The Mezz Snooker Shaft Weight Cartridge Set (SJWC) allows you to customise the weight of your cue with the patented interchangeable shaft weight system. 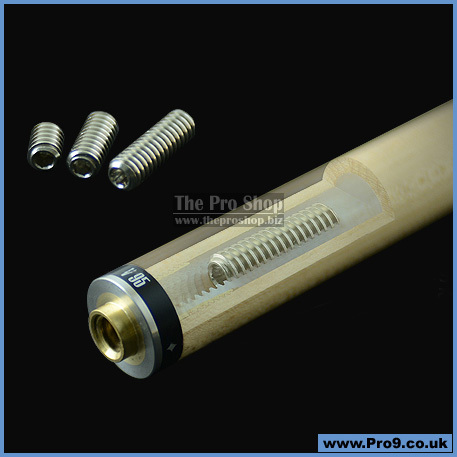 This interchangeable shaft weight system provides a more forward balance that snooker players prefer. 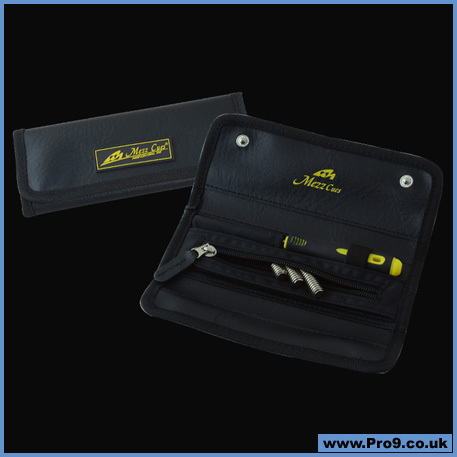 The pack consists of a hex key (5mm) and three different weight bolts ranging from 5g to 15g. Pre-Order this item now, for delivery in our next stock shipment. Price includes free shipping - anywhere in Europe!